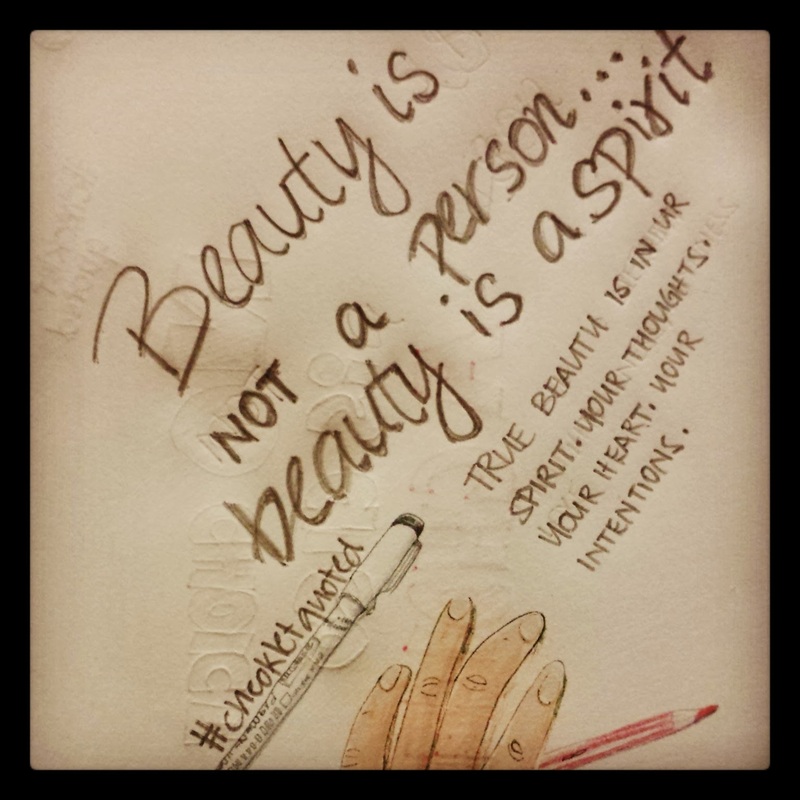 some of my favourite things: #cheokletquoted #3 Beauty is not a person. Beauty is a spirit. #cheokletquoted #3 Beauty is not a person. Beauty is a spirit. Beauty is not a person; beauty is a spirit. True beauty is in your spirit. Your thoughts. Your heart. Your intentions. Appearance matters; but it doesn't last. It is a beautiful spirit that does. I ain't saying that appearance doesn't matter because it does. It's your thoughts, your heart and your intentions that will lift you up. They will build strength in your spirit to and make you shine in any and every situation. Because your appearance will soon follow suit.